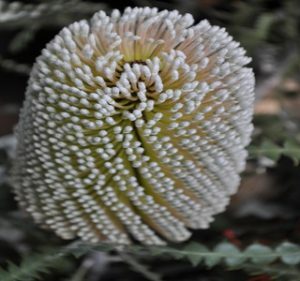 Banksia is named in honor of Sir Joseph Banks, who collected the first banksia specimens at Botany Bay during Captain Cook’s 1770 voyage. 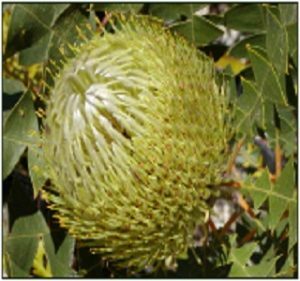 They are truly one of the best known and spectacular genera in the Australian plant family Proteaceae with nearly 170 species. 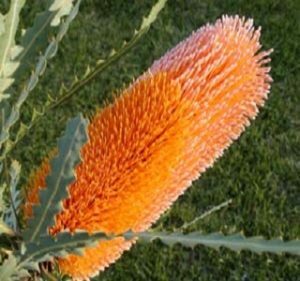 These Australian wildflowers grow naturally in and around most of Australia’s coastal regions. 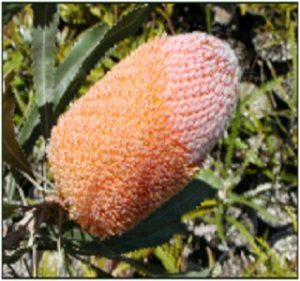 Some varieties have growth habits similar to ground cover, others like shrubs and some trees. They can now be found in a wide variety of landscapes. 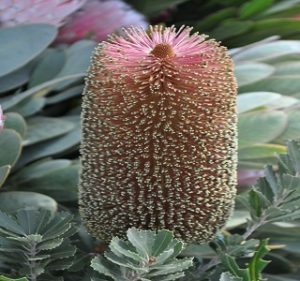 Banksia flowers are generally shaped like a cylinder, large acorn or bottle brush and range in size from 4” to 12”. Colors range from silvery green through brilliant gold, yellows and orange to violet and deep red shades. 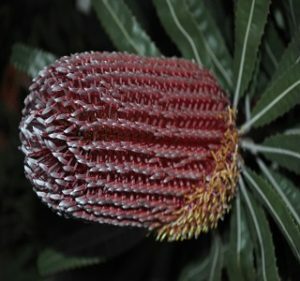 Banksia foliage varies greatly from small and piney to long and narrow to large, leathery and with deep serrated teeth. 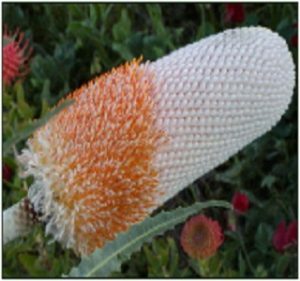 Unlike most of southern Australian wildflowers the main flush of flowers come not in spring but in summer, autumn and winter. 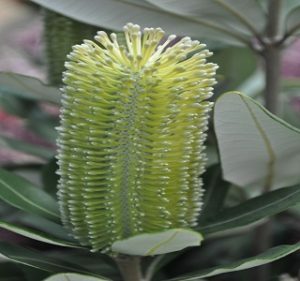 Not only are these flowers colorful and full of texture, they offer a long-lasting performance as a single stemmed presentation or combined with other traditional flowers. 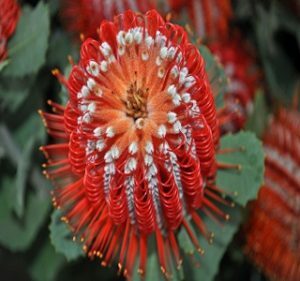 Protea, Leucospermum, Leucadendron, Filler Flowers, Foliages, Kangaroo Paws, Grevillea, Specialty Flora, Bouquets & Wreaths and Plants.